(Doghouse Books, Ireland September 2012). 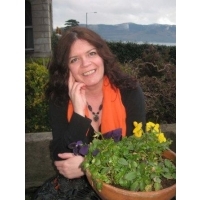 International Category (2012); Highly Commended, Irish Haiku Society International Competition (2011); Overall winner of Every Day Poets 'Great big little poems' Competition; poem selected for The Haiku Foundation's Per Diem Feature (July 2014). canal bank . . .
grandma's kitchen . . . Credits: "Monday blues" - Shamrock Journal 22 (2012); "duck pond" - Frogpond 36.2 (2013); "grandma's kitchen" - Frogpond (Autumn 2012); "skinny dipping" - Winner, Every Day Poets Great Big Little Poems Competition; "canal bank" - Sakura Award winner, Vancouver Cherry Blossom Haiku Competition [International Category] (2012); "riptide" - Tinywords 13.1 (March 2013).